Women in the workplace have become some of the most valued employees across major operations worldwide. Over the years, industry and corporate have seen more and more females entering into roles that were once the preserve of men. Times have definitely changed and this trend can be observed on a global scale. 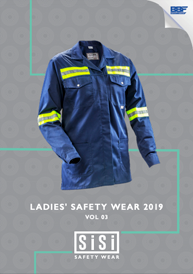 It has triggered the creation of gender specific items for the workplace like ladies’ safety boots, briefcases and even feminine takes on the power suit. A renowned jewelry designer, Jenna creates custom pieces that have captured the attention of a wide audience that even includes celebrities like Venus and Serena Williams! She launched her business in 1992, and 24 years on, it’s still growing. Today, she is still focused on her brand but also has a passion for giving back. She has started various charity initiatives and has partnered with the Save the Rhino project to form the Jenna Clifford Rhino Project. As the founder of Lawpoint South Africa, Adria’s journey has been an interesting one. Having grown up in Cape Town where she attended school and studied at the University of Cape Town, she went on to study abroad at the University of Michigan. Adria was named a Young Global Leader by the World Economic Forum in 2009, a prestigious accolade for any individual. As the Chief of Corporate Affairs for the Vodacom Group Limited, Portia has worked her way up to enjoy her current position. She spent five years as a General Manager for MTN and has worked for a host of other impressive companies. Not many women can say that they are the CEO of a major entity like the Barclays Africa Group. For Maria Ramos, it wasn’t an overnight success story but she was prepared to work hard to make it big. Starting off as a bank teller, she was able to fund her tertiary studies. Little did she know where her tenacity would one day take her. Maria was named the ninth most influential businesswoman in the world by financial magazine giant Forbes. Having overcome the adversities of race and gender discrimination, Siza Mzimela is the first black female to become the CEO and founder of an airline in South Africa (Fly Blue Crane). Becoming the CEO of an airline is a serious achievement, considering that less than 5% of all airline CEO’s worldwide are females. Siza is also on the South African Tourism board and is actively involved with the Oprah Winfrey Leadership Academy for Girls. 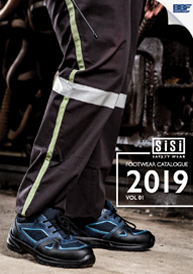 Sisi Safety Footwear forms part of the BBF Safety Group and proudly salutes the growing number of successful women in industry. For more information on the styles in our range, please visit our website www.sisi.co.za.